It’s that time of year! Eating delicious foods, scrambling to hit your NaNoWriMo word counts, and pretending the end of the year is not almost upon us. But in the midst of all of that, there is a special treat here just for you. For one week only, every service offered here at Heart Full of Ink is 30% off! Starting November 21 through November 28, everything is on sale. Yes, you read that right. 30% off ANY service! Do you have six books that you need to turn into a series bible? 30% off! 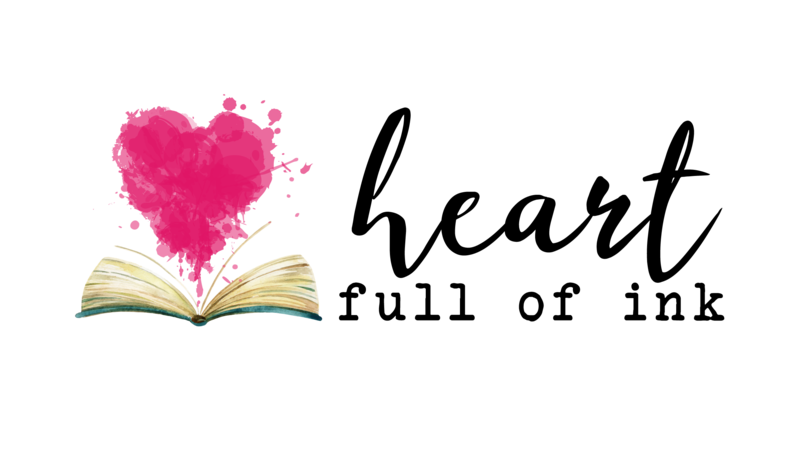 Do you have a brand-new book that you wrote in November that needs Developmental editing? You get 30% off! Do you have a book idea and just need to sit down with an objective editor and talk out your plot points? That hour is also 30% off! Don’t forget about back cover copies! If you hate coming up with blurbs for your novel, I will happily write them for you. 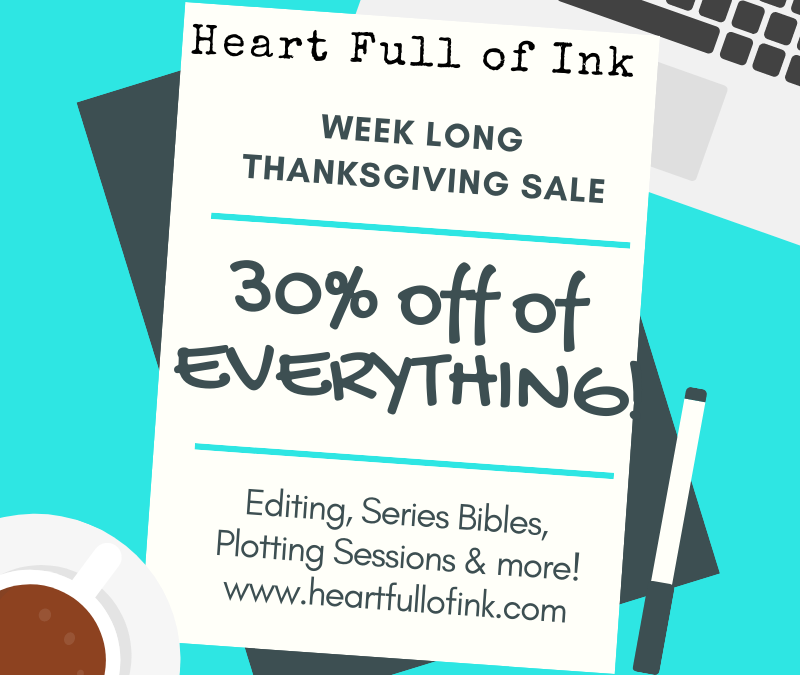 Whatever your writing, editing, or plotting needs are, you can take advantage of this sale. The Rules: Like all good things, there are rules you must adhere to. You must contact Heart Full Of Ink between 11/21/2018 and 11/28/2018 to book your service. The project must be started within 150 days from time of booking. The other 50% payment is due upon completion of the project. It’s that easy! Contact me today and let’s get started! From our family to yours, have a wonderful holiday season!